Fees associated with filing industrial design applications in Australia as well as other design fees are available in the fee calculator. Multiple design applications are possible in Australia. A corresponding fee must be paid for each additional design in the application. English language is the official language of the proceedings; however, if a document wasn’t filed in English, a verified translation must be attached. This requirement is not applied to text that forms part of a design. - if novelty is to be claimed in a specific part of the design, an indication of what aspects novelty is to be claimed. Convention priority may be claimed within six months of the earliest filing. A copy of the Priority Document , as well as its English translation, is only required on request by the examiner or a third party. 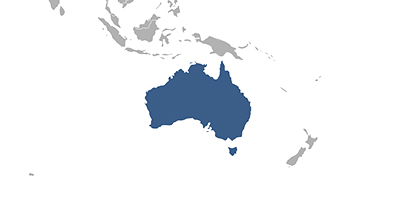 Submission of the POA is not required for registration of an industrial design in Australia. A design application in Australia undergoes only formal examination. Substantive examination is an optional process that takes place after design registration. After the design successfully undergoes the examination, it can be certified, which means you are obtaining exclusive rights over it. Substantive examination may be requested at any time after registration. There is no novelty grace period in Australia, but previous use of an artistic work that has not been industrially applied may be acceptable in some situations. There is no official grant fee stipulated. An Australian industrial design registration is valid for 10 years from its filing date. Renewal fees are due every five years from the filing date. Late payment is possible within a six-month grace period by paying a corresponding surcharge for each lapsed month. If the process goes smoothly, design registration takes approximately three months from the filing date. For foreign applicants, it is recommended to perform industrial design registration in Australia using an agent - a registered Australian and New Zealand patent attorney. Online Search Database for Australian Designs.